Join The Clares and make new friends and even snap up a bargain during sorting and pricing of donated goods for sale in their Charity Shop, CASTAWAYS! Castaways is located within the Cathedral grounds. It sells clothing, including shoes and handbags, and also books and household linen donated by Cathedral members and the public. Items in good, clean, SALEABLE condition are welcomed. Wednesday, Thursday and Friday: 12.00 noon – 2.30pm. Saturday and Sunday: 10.00am – 12.00nn. Donation days are Wednesday and Saturday mornings. Ban the clutter. Get rid of the excess. Don’t buy too much. Meet Fanny Moritz who while remaining positive and passionate, shares with her audience the secrets of a minimalist and zero waste life. She will covers the famous 5R’s method (from Bea Johnson) and the different benefits it brings: health benefits, a better planet and consequent time & money savings. About Fanny MORITZ: Ban the clutter. Get rid of the excess. Don’t buy too much. Organise your living space because the visual aspect of your home affects your mind. Fanny made these principles hers, and has had a ‘less is more’ mindset for as long as she remembers. 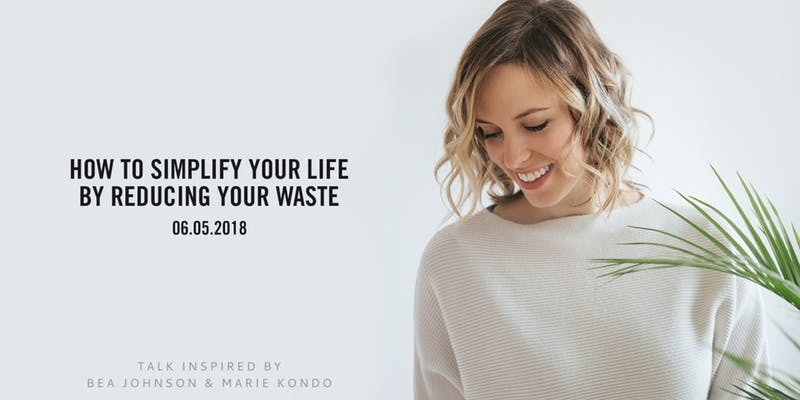 But at the end of 2015, when she read Bea Johnson’s bestseller Zero Waste Home, it was a turning point: she realised that she still produced too much waste and it was high time for her to embrace a more responsible lifestyle by considerably reducing her waste. A better self. A better planet. Everything makes sense. In a world where overconsumption has taken over, Fanny MORITZ explains with passion and optimism the benefits of the Zero Waste lifestyle and gives tips on how to easily reduce one’s waste. About NO!W No Waste: NO!W No Waste is a platform providing reusable & compostable alternatives for disposable items you use in your kitchen, bathroom or at work. Their goal is to offer customers the opportunity to replace the products they throw away on a daily basis with sustainable alternatives to reduce their waste. Monthly pop up stores, workshops, music festivals, markets and more. NO!W No Waste regularly organizes or participates in events in order to meet their customers and get feedback.